Huawei brings one more Nova series Smartphone with the name of Huawei Nova Plus. This company has already introduced Huawei Nova Smartphone in world-wide market and now it is launching latest series of this Smartphone along with astonishing features. It is providing Android Marshmallow system and all Android users can easily operate this cellular phone without facing any issue. This hand-set gives speedy processor system of Octa-Core 2.0 GHz Cortex-A 53 with Adreno 506 GPU option. Dual SIM option is also included in this hand-set with Nano-SIM option. It gives 3GB RAM feature with 32 GB built-in memory option and this is not end it is providing external SD card storage option up to 256 GB. The body look of this hand-set is truly attractive and cellular operators easily attracts after seeing this beautiful Smartphone. 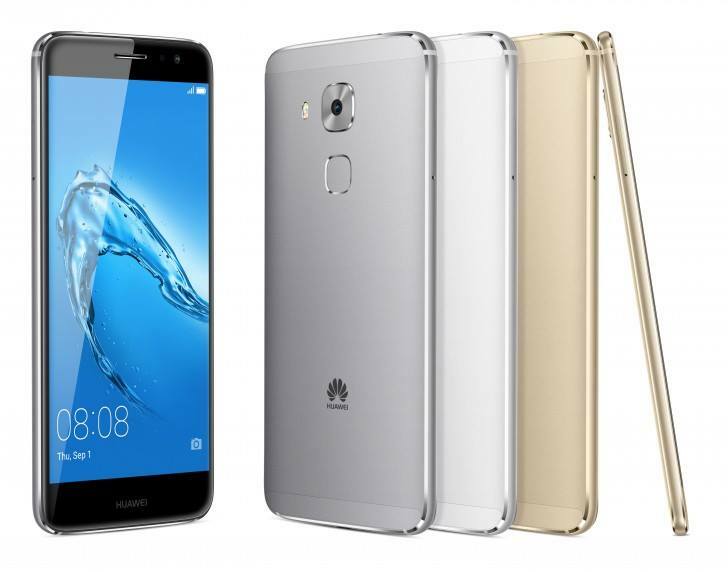 Huawei is providing many latest features in this mobile phone and buyers of this product can enjoy all unique facilities of Smartphone after buying it. It gives crystal display option along with 16M Colors and Emotion 4.1 UI features. It also gives 3G and 4G internet usage option in this cellular phone and customers can avail both speedy internet facilities through this product. All regular Smartphone incentives are included in this product for using. The complete specification details are mentioned as below. System: Android OS, v6.0.1 Marshmallow. Rear Camera: 16.0 Mega Pixels (Touch-Focus). Front Camera: 8.0 Mega Pixels (Panorama). Display Colors:Emotion 4.1 UI, 16M Colors and IPS LCD capacitive display touchscreen. Bluetooth v4.1, USB, GPRS, EDGE, WI-FI, WI-FI Hotspot, WLAN, Dual-Band and DLNA. Audio: 3.5mm audio jack, MP3, MP4, WAV Players and Other Media Players. Other Features: Multi-touch display option, GPS Support, A-GPS Support, Face-detection camera, Nano SIM, Document viewer, Speaker-Phone, Google Search, Calendar and Dual-LED Camera. Latest Features: Finger-print sensor, Photo/Video Editor, External SD card storage up to 256 GB dedicated slot, Accelerometer sensor and HDR camera. Available Colors: Titanium Grey, Golden and Silver.